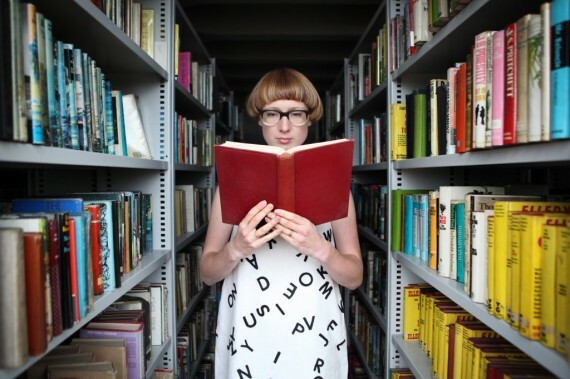 Peckham Platform launches its new vision as an independent charity with the opening of Ruth Beale's participatory installation, Bookbed. We talk to the artist and the organisation's executive director Emily Druiff about libraries, socially-engaged practice and being a creative educational platform. 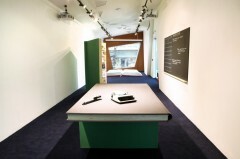 Beale’s participatory installation, Bookbed, is the launch exhibition for Peckham Platform, the south London venue that sits across Peckham Square square from the distinctive, Will Alsop-designed Peckham Library. Formerly Peckham Space, the organisation is now a fully independent creative educational charity, having flown the nest of University of the Arts London (UAL), its parent institution. It’s not just in Beale’s exhibition that Peckham Library looms large at the venue. With its colourful, raised design, the library resembles a blinking mothership standing above the small vivid green capsule that is Peckham Platform. The visual relationship between the two buildings is perhaps an apt metaphor for the exploratory adventures that lie ahead for the newly independent organisation. It’s also apt because Peckham Platform is about learning as much as it is about contemporary art and socially-engaged practice. With its innovative and responsive co-commissioning model, which sees every exhibition developed in collaboration with a local partner organisation, Peckham Platform is in a good place to go it alone as an independent charity. Initiated in the early 2000s, the idea for a public gallery on Peckham Square opposite the new library was made possible through a European fund for civic squares. 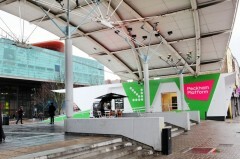 After a series of bureaucratic delays, it opened as Peckham Space in 2010 under the directorship of Emily Druiff, now executive director of Peckham Platform. Going it alone in this harsh funding climate might appear a big risk, but Druiff’s can-do attitude has already made the project come a long way. “When I originally applied for the job [at UAL], there was no money for a programme and I was appointed on three days a week. At the time that seemed like an impossible task but I made it happen,” she says.